"I began in this business in 1982 with a philosophy of providing financial services and recommendations based on conservative financial principles." 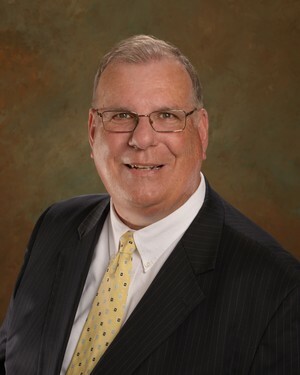 Bill has been in the financial services industry for more than 25 years. He began his career in financial services in New England and in 1989 he relocated his family to Fredericksburg, Virginia. Along with serving his clients through the financial services industry he has given back through many local and national organizations. He is also actively involved with the Fredericksburg Regional Chamber of Commerce, NAIFA Fredericksburg and the Association of Health Insurance Advisors (AHIA). Bill and his wife Ginny have been married for more than 35 years. They both agree that moving to Fredericksburg, Virginia with their four daughters was among the best decisions they ever made. William J. McAvinney, III is a registered representative of and offers securities through MML Investors Services, LLC, Member SIPC; www.sipc.org. Supervisory office: East Shore 1, 100 Eastshore Drive, Suite 300, Glen Allen, VA 23059 (804) 346-1011. NSWC Financial Services is not a subsidiary or affiliate of MML Investors Services, LLC or its affiliated companies.